Simparica. One chew, once a month that works fast and lasts. 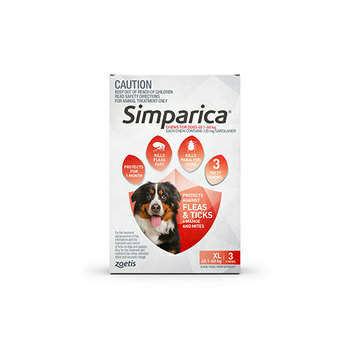 SIMPARICA kills adult fleas, and is indicated for the treatment and prevention of flea infestations, and the treatment and control of tick infestations. Simple.